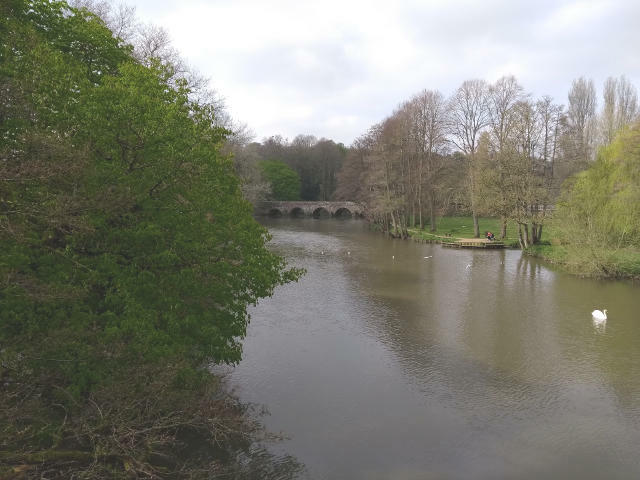 The river Stour winds its way through the county town of Blandford Forum in North Dorset. Near the famous brewery the river cuts through two beautiful meadows. Stour meadow is on the Western bank and the smaller Langton meadow is on the Eastern bank. These meadows are so fine they have been awarded a Green Flag. This award singles them out as being some of the finest meadowland in the country. Nearby parking is easy and free. The paths are generally compressed shingle and I would expect that they would be relatively easy going for anyone with a pushchair or wheelchair. I certainly saw a couple of folk on mobility scooters while out walking the pathways. 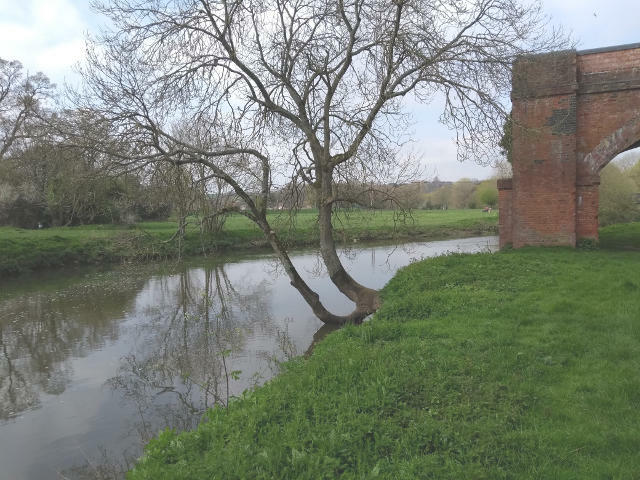 The two meadows are joined by two foot bridges over the river Stour, both of which provide excellent viewpoints both up and down the river. The most upstream of these is the blue bridge that is itself just upstream of the weir. Both bridges are ramped so access for those with wheelchairs/buggies etc is easy. These riverside meadows have been awarded a Green Flag by the Keep Britain Tidy scheme. 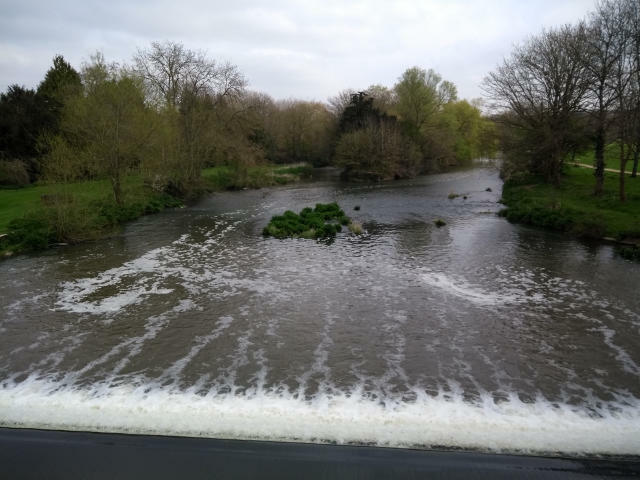 Due to their clever mix of public access yet careful preservation of wildlife and fauna habitat they guarantee a great place for a family picnic or stroll along the river. If you are really lucky you may get to see the Otters which have set up home in this area of the Stour. Otters are very sensitive to environmental factors so their presence is if anything a bigger endorsement for the skilful environmental planning that has gone into these meadows than anything else. But it is not just Otters. Kingfishers, Chaffinches, Dragon Flies and a huge variety of other creatures call this place home. Looking upstream from Langton meadow near the railway bridge. Langton Meadows hold the remains of a old Victorian railway bridge that used to traverse these meadows. Now only two spans remain and are preserved by the Blandford Railway Arches Trust. 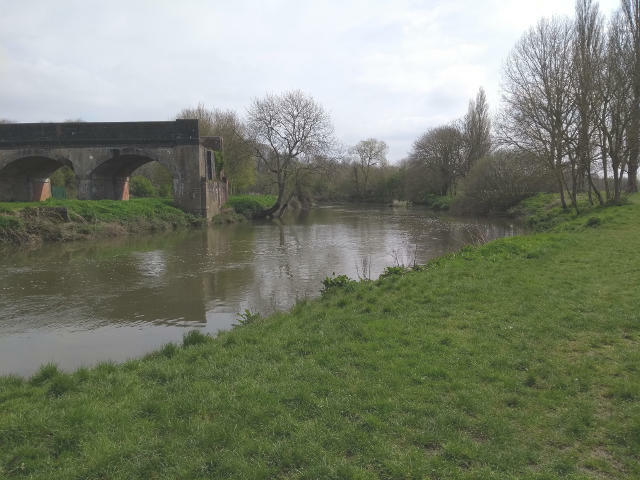 The railway bridge was built by the Somerset and Dorset Railway around 1880 and was demolished after the line closed in 1966 as part of the Beeching cuts. I understand the demolition and full line closer was complete by 1969. I do not know why two arches were left undemolished. Today there is no railway station withing 15 miles. Today the roads are at full capacity in many areas of Dorset. Especially during the holiday season. So what was the main trade for this long-gone old railway line? A classic case of "Act in Haste and Repent at Leisure"
Looking upstream from the Blue foot bridge.